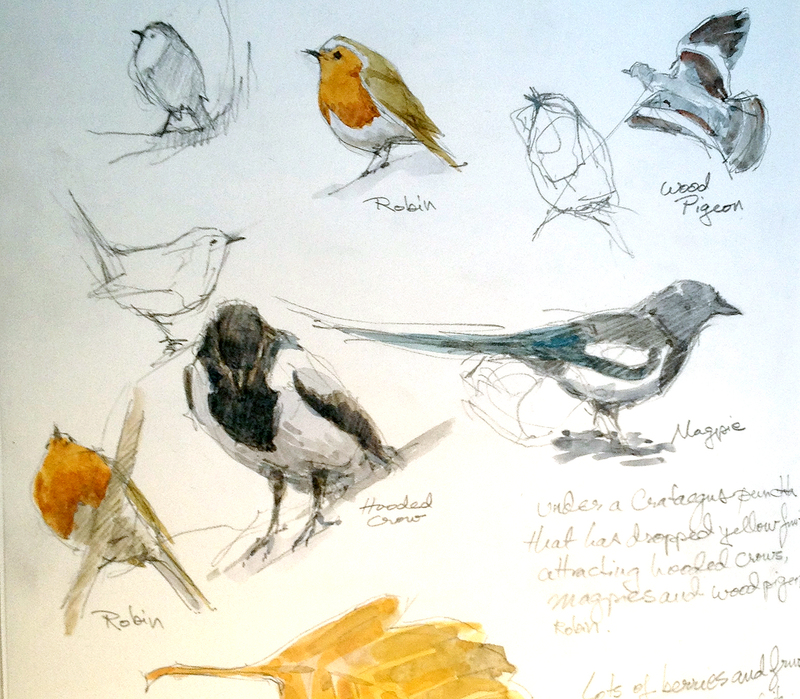 A snippet of a sketchbook page; avian activity at the Botanical Garden, a.k.a. Botanisk Have. “Have”, pronounced, “ha-va”, is the Danish word for garden, and might be the root of the English word, “haven”, which it certainly is. Pencil with spots of watercolor on Stillman & Birn Alpha Series. Step through the gates of the Copenhagen Botanical Garden and the city vanishes; it’s quiet, serene. A great collection of plants from around the world; a green hulk that looked like a woolly mammoth garbed in lace cap flowers was Hydrangea aspera ssp. sargentiana. The Garden is now in autumn glory: grasses and flowers and foliage frosted with soft yellows and delicious reds with berries on top of everything. Hawthorns and Sorbus are in fine fruit, attracting birds. A wren reeled off sibilants and long, liquid warbles while European robins fluttered and plucked at harlequin glorybower’s purple beads. Moorhens tottered out of the pond to pick at the grass on the bank- who knows what they were eating there- along with magpies and wood pigeons, fattening up on chestnuts and fallen crab apples. And then, there’s the architecture. 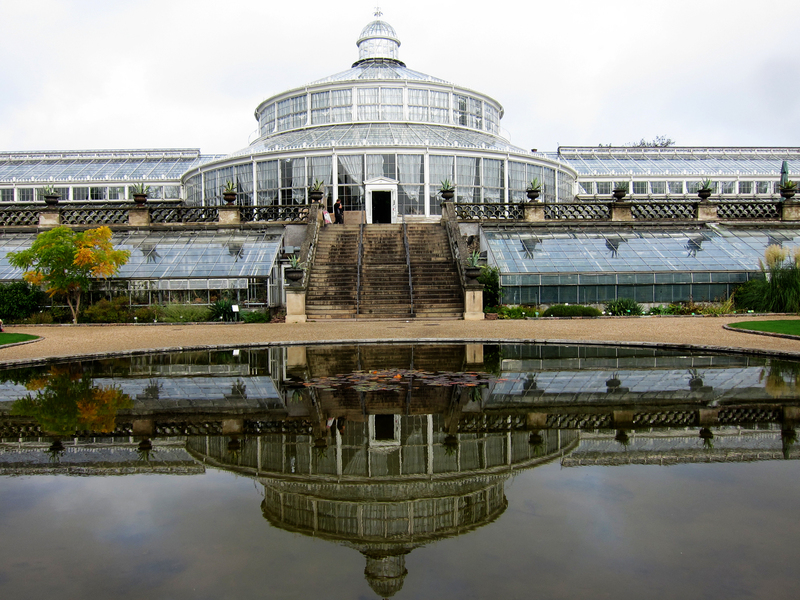 The Copenhagen Botanical Garden’s Palm House, built 1874. Purest, most glorious Victoriana. I feel like I am there, too. You have such an instinct with catching the life of these birds – just lovely!